So I regularly laugh at how fast news travels in small (or smallish groups, like quilters). Since the word got out about Harbor Freight blades it's been spreading like wild fire and I am so tickled that the little tip has gone so far. 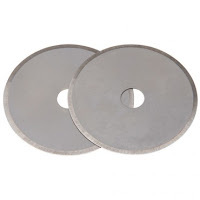 I told a story before about how the manager of one (there are several near by) of the local harbor freight's grumbled when I bought a bunch of blades that since the "ladies" found his blades he can't keep them in stock. Seems a group of quilters is grumbling about the same thing. Oh well. :) I have a big mouth and never could keep a secret. 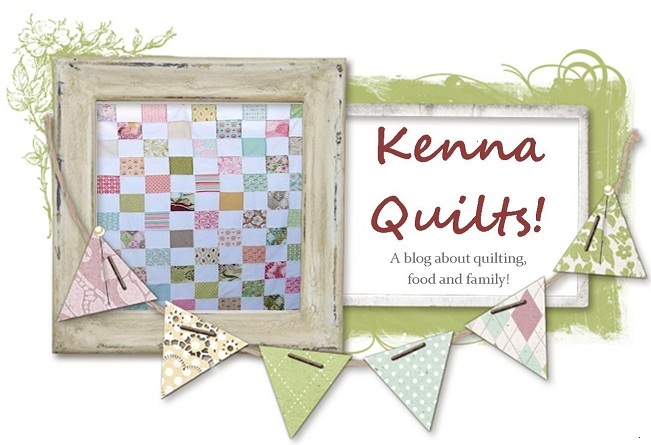 And I've read a few posts about other things found at HF that are useful for quilting. So I thought I'd throw them all together in one big post. I will also quote the source (when there is one) and let you know some of the things I buy at HF and use regularly. First of all, the blades. They are by far the most popular item from HF that is a quilters dream. A 2 pack for 1.99. Can't beat them. And they are made to cut carpet, so you KNOW they are going to rock and roll at cutting fabric. I love them. I only use these blades. BE CAREFUL. They are SHARP. Which is a MAJOR bonus when cutting fabric. It's a MAJOR drawback when cutting FINGERS. I've done it. BE CAREFUL. :) And enjoy the savings. AnneMarie from Gen X quilters talked about using these gloves for free motion quilting. I have a pair. they rock. I am not so great about wearing gloves for quilting, and they are a little warmer than the ones you buy at the quilting store, but at $1.99 a pair....I'll take a little hand sweat. :) I also recommend wearing them when cutting fabric....it will save your fingers. I don't use this, but this lamp and this lamp would work just the same as the Ott magnifying lamp, at a fraction of the cost. I like this headlamp for machine quilting, and a friend uses it for knitting, it's very much so directed light and for $5. its worth a try. This handle works PERFECTLY to hold rulers....it's EXACTLY the same thing they sell at Joann's and at $6.99 it's a bargain compared to the $20 version seen here. Don't like pin cushions? This 6" magnetic parts holder will work wonders at $4. Or the 4" model for $2.79will do the same! This spiffy wrist magnet will work as a wrist pin cushion as well. WARNING WARNING WARNING PLEASE PLEASE PLEASE DO NOT USE MAGNETIC PIN HOLDERS NEAR COMPUTERIZED OR ELECTRONIC SEWING MACHINES. They will throw the computer out of whack. However, they are a saving grace on my cutting table (in a whole different room than my sewing machines) because I have knocked the pins over at least 10 times. seriously. Which leads me to these wondrous contraptions. The telescoping magnet. Two bucks that saves hours, feet and my poor wee one who scoots around the floor. I keep these tweezers in my sewing box. I use them to clean out my machine, pull threads that are stuck, and all kinds of other general use. I read somewhere that someone uses this as a stiletto for sewing small pieces. I don't generally sew small pieces and if I do I either use a bamboo skewer from the kitchen or the tip of my tweezers. I use this awl for punching holes. I will be doing a tutorial one of these days for bibs, and I occasionally punch holes for the snaps before I put them in, it makes it easier. Or for grommets in bags...etc. Other things I love....This Jumbo Snap Clip lives on my stroller to hold packages while out shopping (nothing fits in the dorky basket under the stroller. nothing.) I also keep one in my car, and when I go to the mall, sans stroller, I take it with me to hold packages....the rubber grippy side helps to save your hands. This spiffy magnetic holder works amazingly well for well used kitchen knives. Or in sewing rooms for sewing scissors. And lastly this el cheapo 6' bistro umbrella is a STEAL. I'm lazy. I buy several each year, and when they die because I leave them outside I throw them out. And if no one touches them, they look a LOT more expensive than $7. As you can see I have WAAYYY too much time on my hands (or did prior to the punk) to wander the isles of harbor freight while the dude was shopping....it's gotten so bad that he won't go with me anymore! I'll mention the handy 27 LED light with a hook and a magnet that came in handy last night when the power went out. I bought it to add to tje light when I'm quilting and to keep in my bag when I can't find stuff at the bottom. Holy Cow! What an awesome list! Thanks for sharing K!